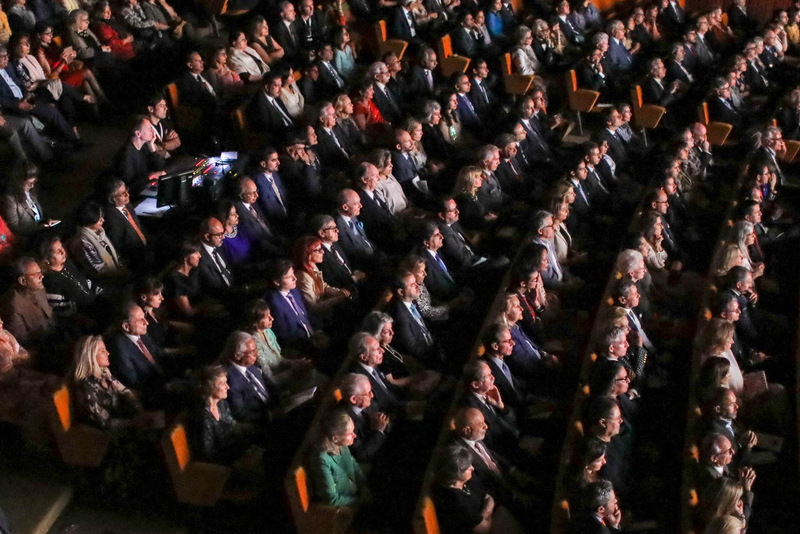 His Highness the Aga Khan, Chancellor of the Aga Khan University and His Excellency Dr Ishrat Ul Ebad Khan, Governor of Sindh and the Chief Guest at the Convocation, process into the ceremony. 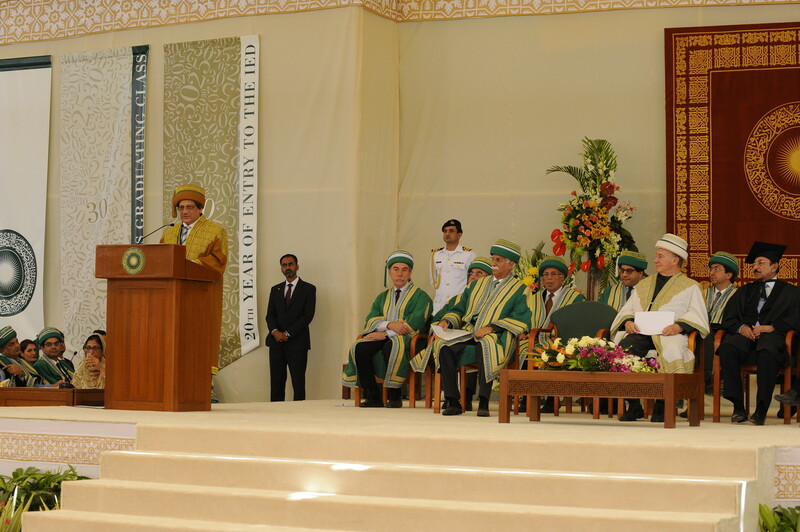 His Highness the Aga Khan, Chancellor of the Aga Khan University, speaking at the 2013 Convocation ceremony of the University. 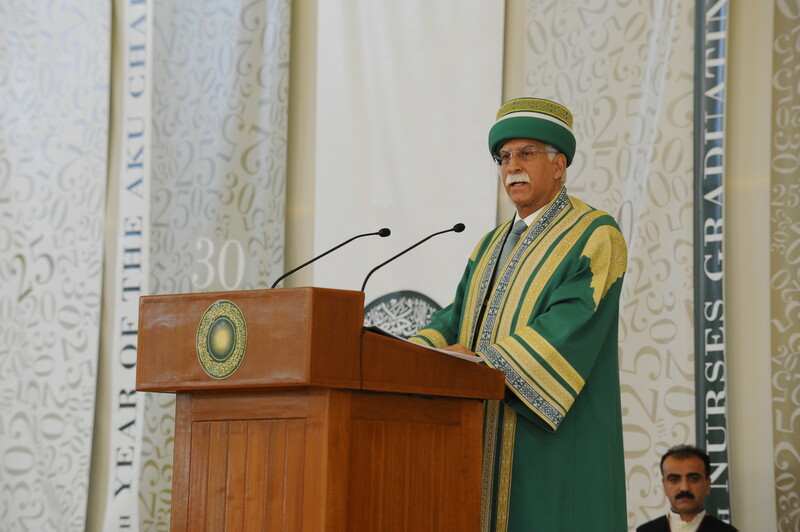 His Highness the Aga Khan, Chancellor of the Aga Khan University presented degrees to the students of the Class of 2013 at this year’s Convocation. 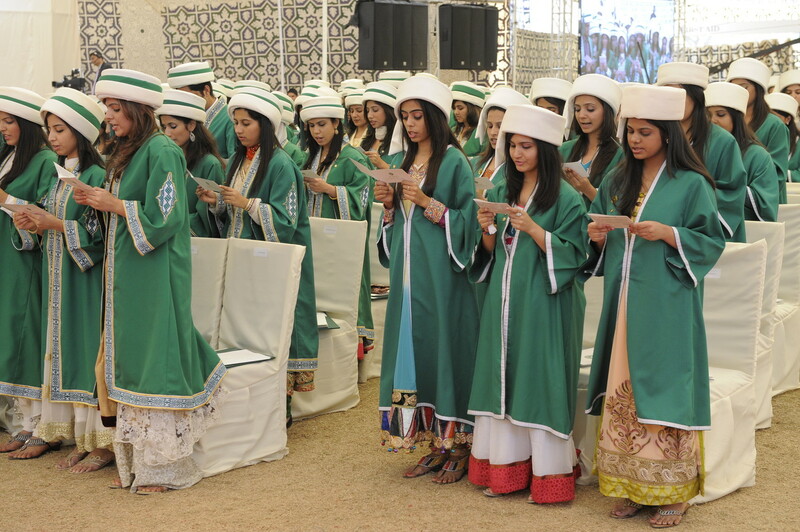 Graduates of the BScN and the Diploma in Nursing take their oath having received their certificates. 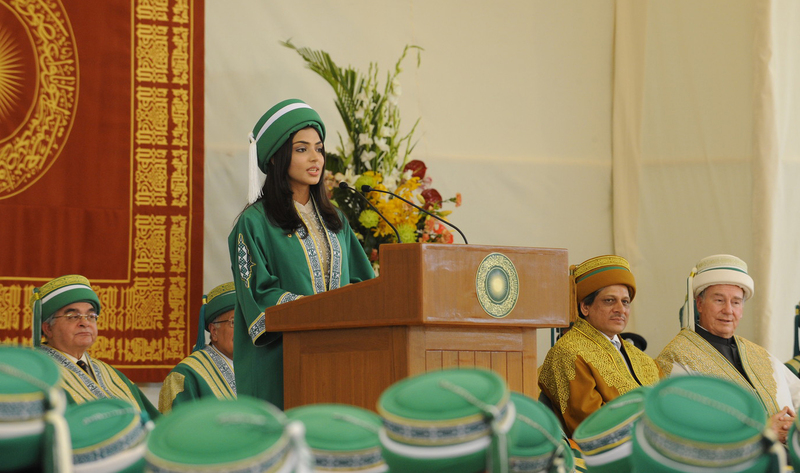 Maryam Baqir, the Class of 2013 Valedictorian addresses the Convocation. 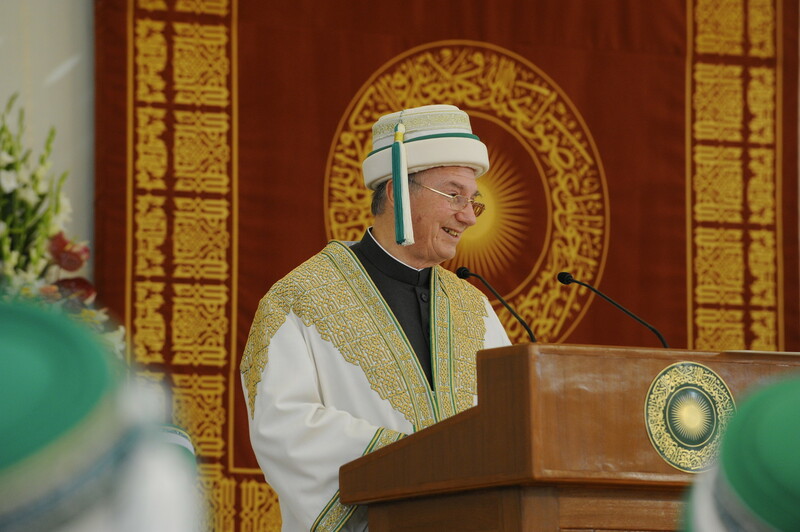 Karachi, Pakistan, 19 December 2013 - His Highness the Aga Khan, founder and Chancellor of the Aga Khan University, today outlined an ambitious global vision for the University’s expansion into liberal arts and announced the creation of seven new graduate schools across two continents that will work in areas of particular relevance to developing societies.